As we lead our daily lives, we are often exposed to a variety of environmental chemicals and toxins. As such, it is important to rid our bodies of the unwanted build-up that can lead to poor digestion, weight gain, low energy and premature ageing. 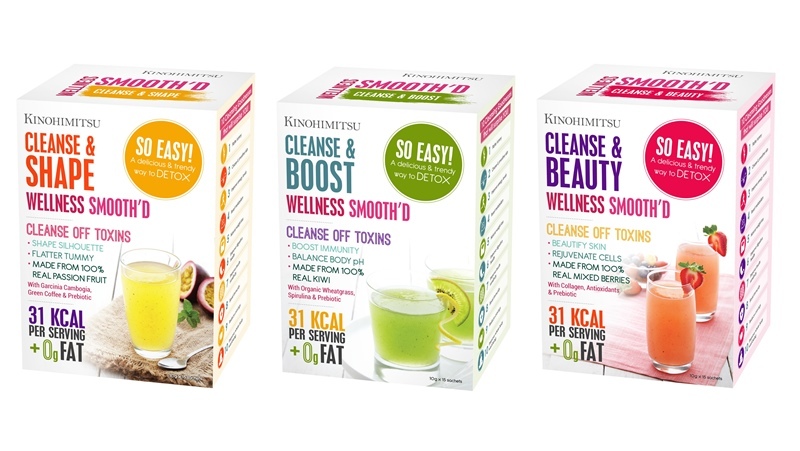 Recently, Kino Biotech introduced Kinohimitsu Wellness Smooth’D. This multi-functional drink helps with our system’s natural cleansing of accumulated toxins and gives it a break from the stress of late nights, unhealthy food choices and lack of exercise. Its formulation contains psyllium husk that prevents constipation. It is also enriched with prebiotic fructo-oligosacharride, which increases intestinal bifidobacteria and improves bowel health. Also contains other active ingredients that work in promoting fitness, beauty and health. There are three different delicious flavours to choose from. Smooth’D Cleanse & Beauty (mixed berries) comes fortified with collagen and vitamin C, plus acai berry, grape seed and apple extracts. It combats ageing and improves the overall health of the skin, hair, nails and joints. 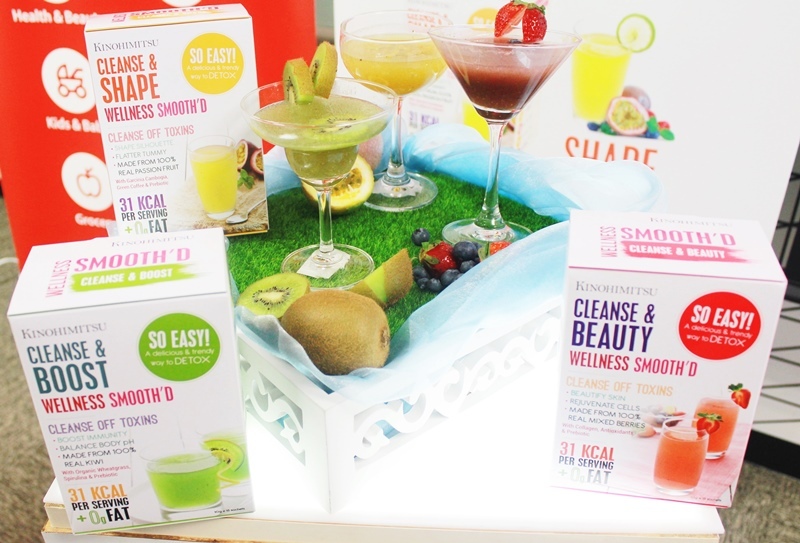 Smooth’D Clean & Shape (passion fruit) is enhanced with garcinia cambogia and green coffee. It improves fat burning and reduces carbohydrate absorption. Smooth’D Cleanse & Boost (kiwi), rich in organic wheatgrass and spirulina, balances the body’s pH and immunity. All three are available in an easy and convenient powdered form, perfect for those who lead an active or busy lifestyle. Just mix a sachet with water and consume in the morning, afternoon or night. 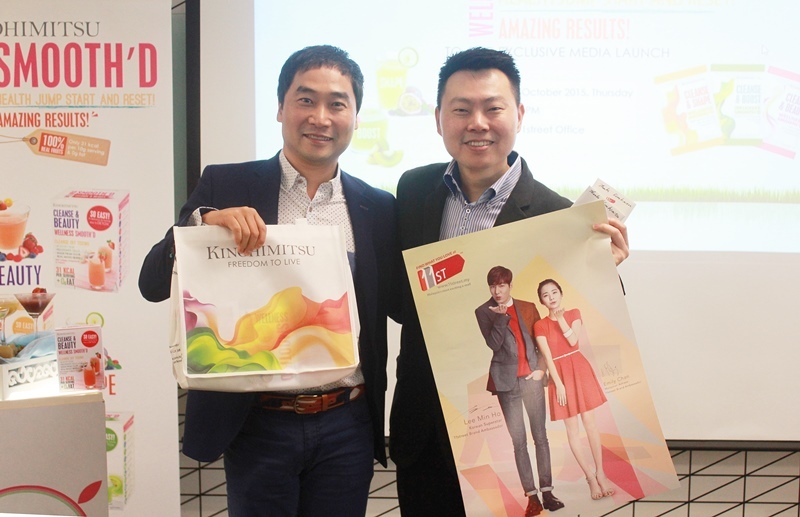 Kinohimitsu Wellness Smooth’D will be sold exclusively on online shopping mall 11street. Kinohimitsu Wellness Smooth’D will be retailed at RM89.90 per box with 15 sachets.